One in four Israeli men who are eligible for the draft, and more than one in three Israeli women, do not enlist in the army, Brigadier-General Gadi Agmon revealed Tuesday. Agmon addressed Members of Knesset in a meeting of the Foreign Affairs and Defense Committee’s subcommittee on manpower and training. While the Knesset has focused on the question of hareidi-religious enlistment in recent months, Agmon raised the issue of non-hareidi draft dodging. Nearly 36% of Israeli women who are eligible for the draft do not enlist, and cite religious observance as their reason, he said. The IDF believes that many if not most of them are not being honest about their lifestyle, he revealed. While male recruits have traditionally been granted exemptions from service for religious reasons only if they were engaged in full-time Torah study, all orthodox Jewish women have traditionally been exempt from service. Many orthodox women choose to serve, while many others prefer non-military service (sherut leumi). Agmon warned that many women who claim to be orthodox, and say that military service would conflict with their religious lifestyle, are in fact not religious. The IDF has investigators who check into women’s claims to be religious, he said. Women who are suspected of having falsely claimed to be religious are called in for questioning, he said. In two-thirds of cases, they admit to having lied. He noted that of the 25% of men who do not serve, 14% defer service in favor of full-time Torah study. The figure also includes men who cannot serve for medical or psychological reasons. Agmon noted that there are concerns that some men are obtaining false psychological reports in order to avoid service. Suspicions were raised due to a noticeable increase in recent years in the number of young men claiming to be unable to serve due to poor psychological health, and backing their claims with reports from private psychologists. Members of Knesset raised tough questions over the IDF’s record on sexual harassment, and what it means for women’s enlistment. The focus was on a recent case in which a lieutenant colonel was accused of sexually harassing several female subordinates. A military court found the man guilty but did not sentence him to prison time. MK Omer Bar-Lev (Labor) said the light sentence sent a troubling message. A civil court would have handed down a different sentence, he argued. 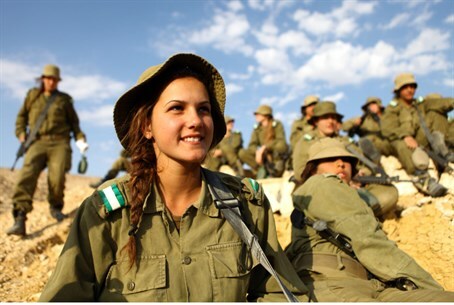 MK Meirav Michaeli (Labor) said the IDF cannot seek to lengthen female soldiers’ terms of service while at the same time failing to protect female soldiers from harassment at the hands of their commanding officers. There is a direct connection between the IDF’s ability to provide a safe, non-discriminatory environment for women and women’s ability to serve, she said.